Victor Starspeeder is back at Jedi Academy for year #2, but it’s not going the way he’d planned. He was excited about Drama Club and hoped to get the lead in this year’s musical… But a new kid got the role. He keeps oversleeping and getting to class late . . . Worst of all, his big sister Christina is getting ready to graduate from Jedi Academy, and there are rumors going around that she’s a Sith! What’s a Padawan to do? 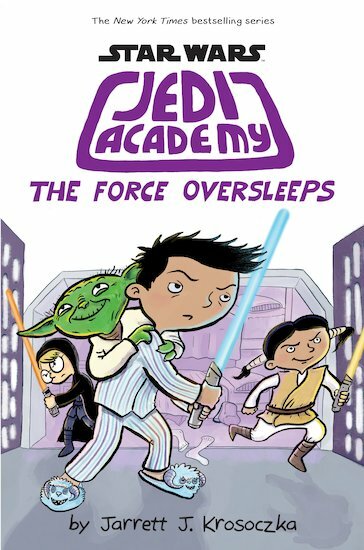 In times when he feels more alone than ever, Victor will have to trust the ways of the Force and his friends if he’s going to survive year two in this all-new chapter in the Jedi Academy series.